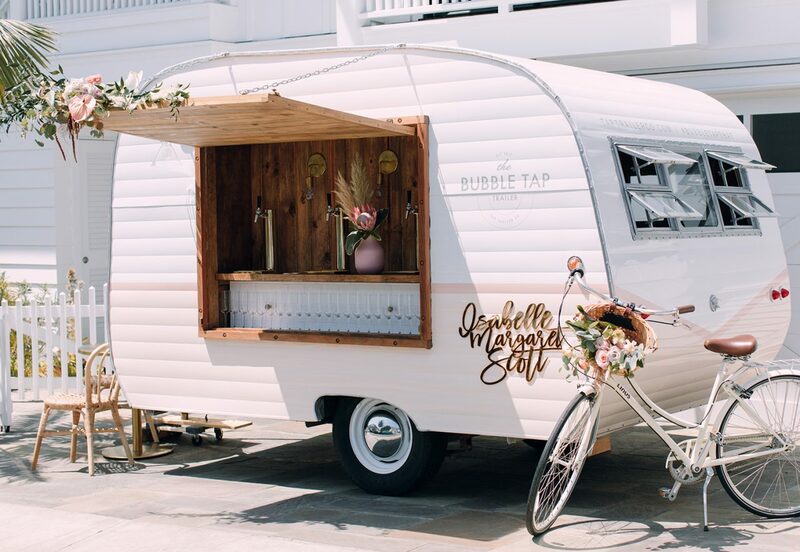 The first-of-its-kind in the US, The Bubble Tap Trailer by Tap Trailer Co. is a fully renovated vintage camper trailer that has been converted into a mobile bar serving Prosecco and wine on tap. 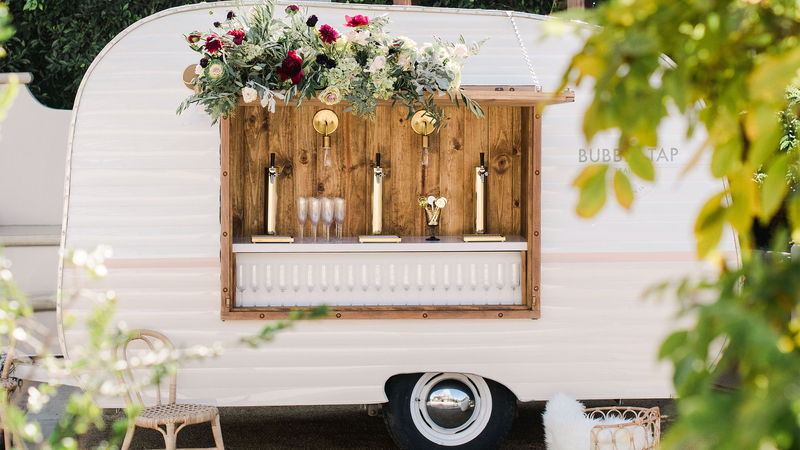 The self-contained trailer is compact in size and fits into most event spaces, making it perfect for parties, events, and weddings, as well as large festivals and public events. There are no bottles to open or dispose of and the best part, no waste (because wasting alcohol should be a crime.) 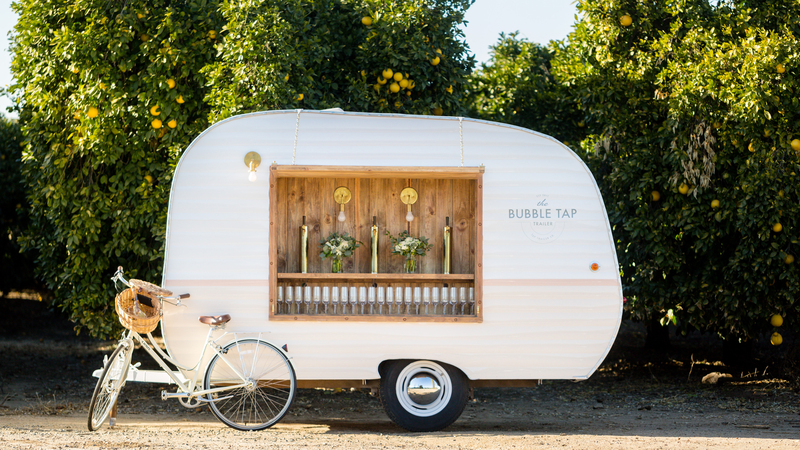 Add an element of surprise to your event with The Bubble Tap Trailer! Tap Trailer Co. is led by a team of industry professionals with decades of experience and a commitment to elevating the beverage experience. Follow us on Instagram @bubbletaptrailer for all of the latest happenings, behind the scenes access and exclusive content!